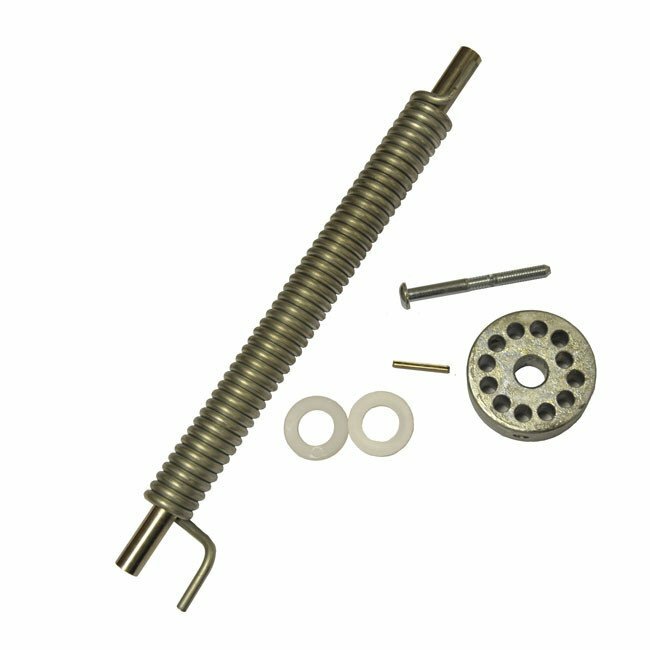 Replacement spring mechanism kit for Steelway self-closing gates. Our kit includes Self-Closing Spring, Central Rod, Split Pin, Adjuster Mechanism, 2 Bolts and Spacer Washers. 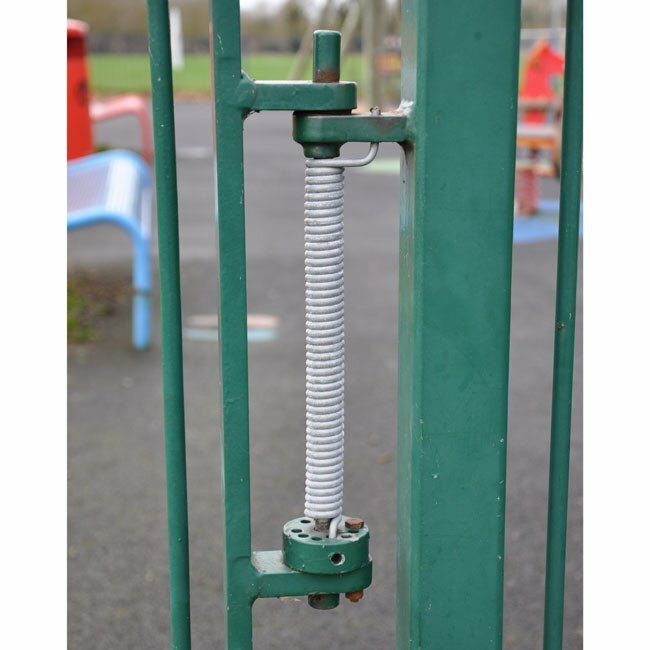 Below is how a Steelway Gate spring assembly should look.